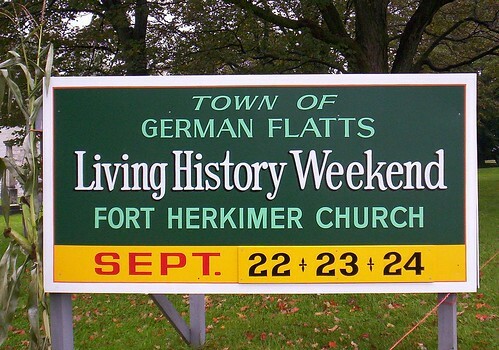 In late autumn, 2006, we took a trip to the Living History Weekend in German Flatts, NY. 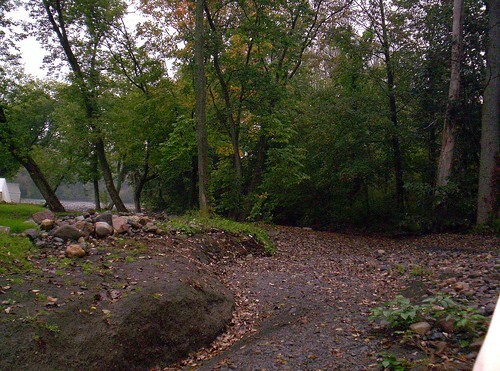 German Flatts is one of the oldest Upstate New York settlements. Unfortunately, and predictably, it was pouring rain AGAIN (we had a lot of rain that year, and a few devastating floods). This put a real damper on our visit, so to speak. Turnout on the day that we went (Saturday) was very low. Still, we enjoyed what we were able to see. 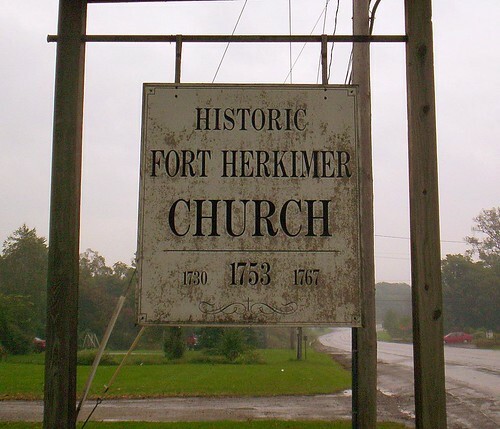 The high point was seeing the Fort Herkimer Church. My children are descendants of the Palatine Germans that settled this area, who built this church, among others. Revolutionary General Nicolas Herkimer’s parents also assisted in the building of the church, and they are buried in the graveyard. 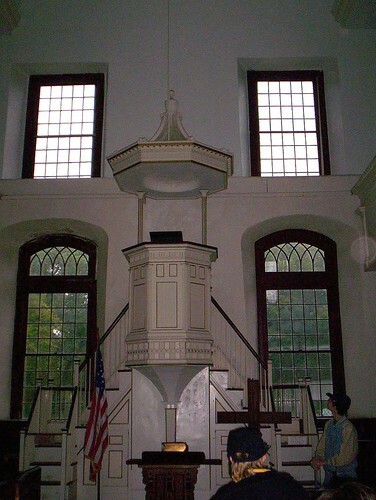 The Fort Herkimer Church is one of the oldest churches in New York State, begun in 1753. Made of stone, it served as an important fortification for area residents during the French and Indian War and the Revolutionary War. There are over thirty gunports in the walls, and thick buttresses project from the building’s four corners. 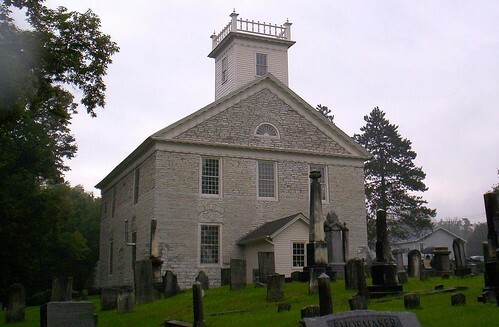 Because of the rain, the scheduled church tour was cancelled, but a very gracious lady allowed us to look in the church when she heard I research genealogy and local history. 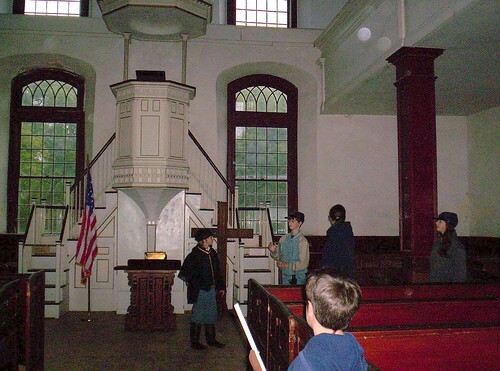 Inside the church, it looks like any typical Colonial American church: wooden floors, wooden pews with small swinging doors, and a wooden pulpit raised up several feet. It is a plain church, not as fancy as the Dutch Reformed Church we visited in Albany. It is similar in format if not in scale and style. After seeing the church, we wandered into the reenactment Civil War camps for a bit. There was not a lot of activity and hardly any other visitors, because of the rain. We puttered around and took this cute shot. The kids also bought some Civil War hats (Union, of course) and a few toy rifles. The man who plays Abraham Lincoln, a local celebrity now, was not coming, due to a previous commitment. 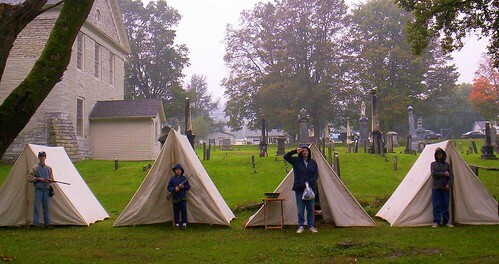 The events schedule stated that a parade drill and cannon firing was due now, but everyone was huddled in their tents. 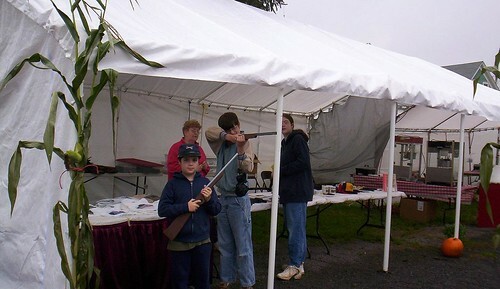 When the rain finally receded, we asked one of the Confederate soldiers if they were going to fire off any weaponry. 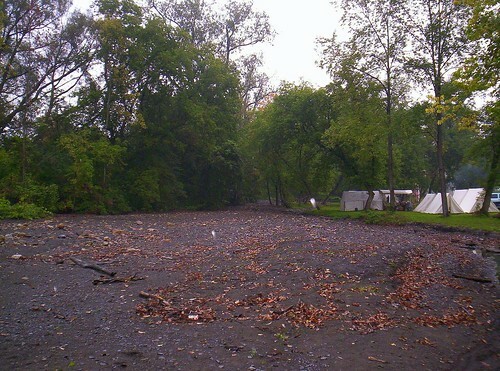 A bugler was called to rouse the troops out of their warm tents and onto the soggy training ground. The captain gave us a nice speech and some background on Civil War cannons, and soldiers were ordered to fired off a shot. 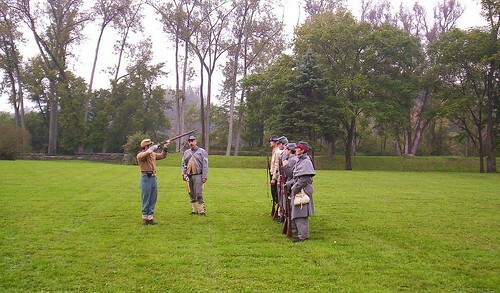 Some Confederate soldiers bravely geared up and did an army drill for us, complete with firing of guns. It was all very low-key, however, and certainly not the big hullabaloo we read about in the paper. I’d say there were only four or five other families around. When I asked about the scheduled fiddler’s jamboree, we were informed that was canceled, too. This was very disappointing, and ruined the visit for me. We meandered the site for a while. 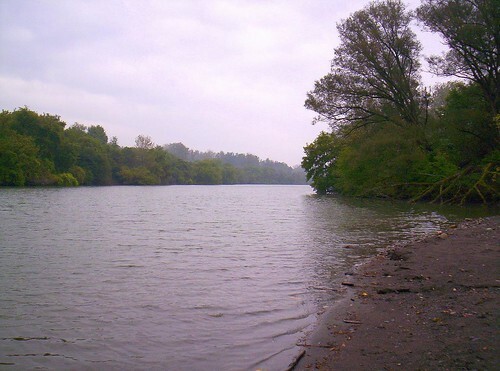 We stood at the banks of the mighty Mohawk River. How desperately beautiful it is–how I longed to hop in a canoe and paddle away (it’s the Indian in me). 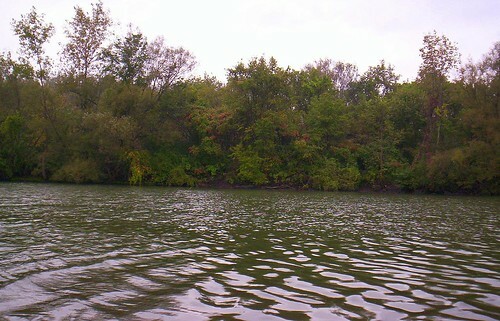 The area saw tremendous damage during the June 2006 floods. 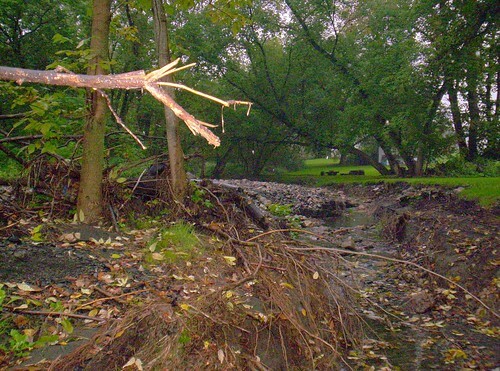 The photos below show some of the debris field. The river gushed off course and surged through the area next to the camp- I’d say it surged a good 1/4 mile from its banks here. The gashed land was filled with tree roots, limbs, old roofing shingles, plastic tarps, etc. It was a disaster. One highlight was talking to a genuine blacksmith. 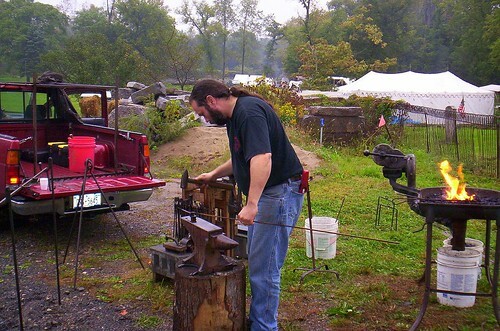 He made a beautiful iron hook as he chatted about iron works, historical ore mining in the Adirondacks, and the history of smithing. The Adirondacks used to supply great quantities of iron for the country. There are large areas filled with titanium there. However, the Adirondacks mines have been closed, due to over-regulation from New York State. Mining is now predominantly in areas of the South, such as North Carolina because the ore is easily accessible. The mining businesses down there also aren’t taxed arms and legs like they are in New York. We didn’t stay for the scheduled reenactment of the “large-scale” battle. The kids wanted to, but everything on the schedule had so far been canceled, and I really didn’t want to hang around for three more hours in the intermittent rain, waiting for an event that might not even happen. Perhaps we’d visit again, when there might be more sunshine and more activity. 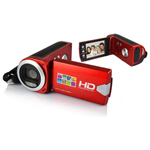 It’ll be fun to see what we do with the videos of our baby when she’s born! Thanks for visiting, Erin! Yep, you’re husband is one talented guy, lol. I don’t think I have EVER seen anyone rap about grilled chicken with such panache. He’s a show-stopper, ‘e is! Hi Peggy! I have never been to Pulteney. I don’t even know if I have been through it! So, sorry, I have no photos. Maybe sometime I’ll take some, cuz I’m gonna go check out what’s new to do in Pulteney. Can someone please provide me with the adress to the Old Fort Chirch so that I can find it. We have the living history weekend every year. Please feel free to come and join us again! They have been working on the church and the town park. We have also recently obtained an old schoolhouse that has been moved several miles and placed in the german flatts town park. 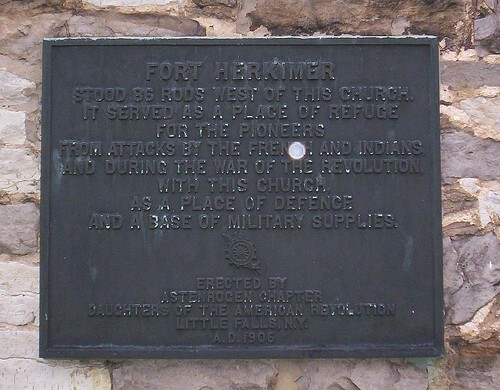 The Location of the Fort Herkimer Church is state route 5S mohawk. Please try 551-555 state route 5s mohawk ny that should put you close to church. We have several other celebrations throughout the year. If you would like the dates and such please feel free to email me at cypressrain@hotmail.com and once i get them i can email them to you. I hope that if you join us again you will not be rained out. Thanks for your support!